The layout of an e-mail is crucial for the success of the marketing campaign. Even minimal design changes lead to measurable differences. A newsletter should not only come up with great pictures, but the choice of appropriate wording is rather more important. Especially an optimal subject line and a good headline are decisive factors for success. Our customers forget again and again to indicate the subject line and the headline – believing that both pieces of information are not really important. However, the words chosen for the subject line is decisive for the opening rate of newsletters for instance. In the e-mail itself, the headline is just as highly important, since it establishes important optical anchor points for the reader’s vision mapping. Moreover, they simultaneously serve as door openers to further content areas. Whether a customer’s interest is awaken, to continue reading or clicking, depends on them. Beside the sender’s address, the subject line is decisive when opening an e-mail or newsletter. It is crucial for the opening of the e-mail. - A good subject line makes the reader curious – use intensifiers like: “Test it” or “Compare”. 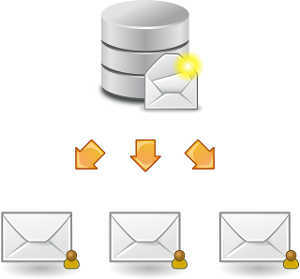 - Keep in mind that e-mail clients only display a limited number of characters – 50 to 60 characters ideally. - Design the subject line so that it incites the recipient to browse the contents shown in the preview. - Design the subject line so that it is brief and concise, while still attracting attention. - Use a catchphrase right at the beginning – ideally this clarifies the value proposition and it is not longer than 30 characters. - Integrate the headline of your newsletter as HTML text and do not hide it within graphics, because pictures are supressed by most e-mail programmes. - Use emotive terms at the very beginning; the first two words are particularly important. These should activate the readers. - Use vivid language and natural word order. Thereby a sharp verb gains particular significance. 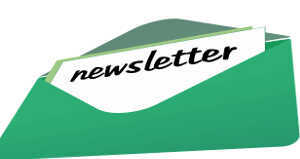 - What is important in the print sector is also valid for newsletters: Even though long and meaningful headlines are better than short ones that are inexpressive, brevity is still the soul of wit. - Avoid too little or too much spacing between letters, as well as white letter on black background or using continuous capitalisation and exclamation marks. Then these layout alternatives hinder legibility. According to statistics, over 90 percent of e-mails sent worldwide are spam. No wonder then that most e-mail programmes dispose of a spam filter, which protects addressees from such undesirable e-mails. Currently, e-mail providers sort out about 80 percent of commercial e-mails. And even of the remaining 20 percent, 15 percent is still unrequested. - For the distribution use the IP address of a server which is specified on the list of certified and registered senders of legal e-mails (Certified Senders Alliance CSA). - Make sure that the recipients of newsletters have registered you in their own address books. - Successfully complete a spam check before the distribution. - Do not use a subject line that is too promotional. - Remove invalid recipients from your address lists. - Use clean HTML exclusively.